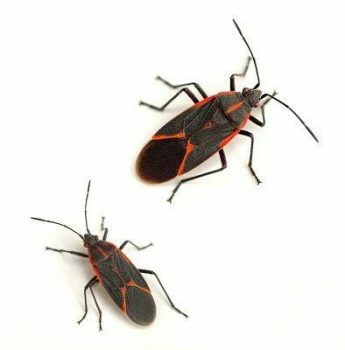 Boxelder bugs are a typical pest around the Portland area. As an adult, this structure invading pest is usually ½” in length and black with red-rimmed wings. As juveniles, Box elder bugs are much rounder, smaller, and display a more distinctive red shade than the adult. Their primary food source is the reason they receive their name – the boxelder tree. They’re also discovered on maple trees, ash trees, cherry trees and a number of additional seed-bearing plants. They’ll feed by sucking sap from the seeds, shoots, and leaves of the host plant. They rarely cause substantial damage. They’ll become a nuisance as they overwinter in massive numbers in buildings, homes, and additional structures. Before calling an exterminator, here’s what you need to know. Why do you have box elder bugs? If you grow maple, ash trees, or box elder on your property you’re a probably target for an infestation of box elder bugs. Even the home adjacent to yours or within your community could draw these insects to your property. 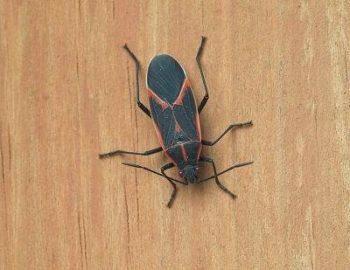 Boxelder bugs are a lot less likely to become an indoor pest problem within the summer and spring seasons. That is because they’re out-and-about hunting for food. However, as the air temperature dips, they start looking for shelter for the wintertime. That means that as the cooler months approach in Portland and the pacific northwest, boxelder bugs might become a bit more noticeable. Any region which can offer a westerly or southerly exposure is perfect for box elder bugs. As the bugs search for shelter to survive winter storms, they will look for crevices and cracks. In addition, small areas behind the siding and additional sheltered spaces are perfect for these pests. Generally, not. They’ve been well-known to bite. The bite ought to cause no more than small irritation. It’s when the insects group together to hibernate that they start causing problems in buildings and homes. Even in the coldest winter seasons, they may emerge inside if the sunshine is out and the temperature increases, even by a couple of degrees. The bugs have very few natural enemies. Because the bugs’ secretions make them a less-than-appetizing meal for predators, natural selection won’t control their population. As their title suggests, Boxelder bugs feed mainly on Boxelder trees. They sometimes may be discovered on other trees like ash or maple trees. Their presence might result in discolored leaves and fruit. 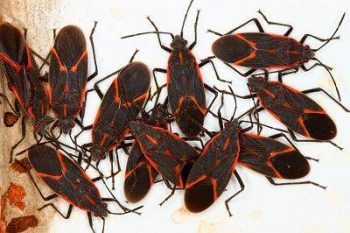 How do you eliminate boxelder bugs? If you’re in the Portland area, The Killers exterminator service is your best bet to eliminate your problem with box elder bugs. Because of the many kinds of locations they pick to hibernate in, it may be very hard to find and remove them, something our trained exterminators do. If you have an issue with box elder bugs in Portland, your best bet is to call The Killers immediately. Use care if you’re planning a DIY approach to eliminating box elder bugs. Particularly if you’re using pesticides as they may be deadly or harmful to pets and humans if used incorrectly. The Killers exterminators have been educated on applying pesticides and may best determine if and when they ought to be used. All products in The Killer’s arsenal has been registered by the Environmental Protection Agency and approved for use for pest control purposes. 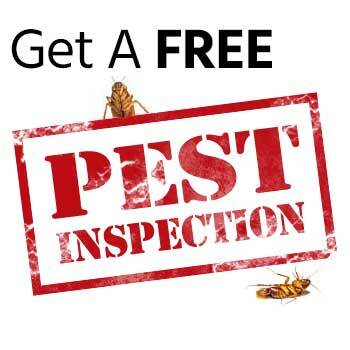 Our well-trained exterminators then follow a stringent set of guidelines within its application to make sure that no harm comes to pets or humans. Preventing these insects may be challenging. You may attempt to minimize the risk of a massive amount of hibernating pests invading your residence. We recommend ensuring that all cracks, gaps, and crevices around the property are filled. All areas around siding, eaves, windows and doors also should be sealed. To rid your house of the pests which have infested, it is vital to have the ability to identify them. Get ready for fall’s most frequent visitor, the boxelder bug. To recap, with a scientific title such as “Boisea Trivittata,” it isn’t a surprise that this insect is most often called by a simpler name, “boxelder bug.” Even though predominantly black, these ½” pests host 5 red lines upon their oval shaped bodies– two alongside each side, one vertical line down the thorax, and one on the tip of both wings. The insects would prefer to live undisturbed in ash, maple, or box elder trees. As weather starts to cool, they quickly start seeking shelter elsewhere. Firstly, they’ll collect together on buildings, trees, and rocks which receive a ton of sunlight. Then, as that sunlight is no longer sufficient, they’ll congregate into a big group and look for tiny cracks and crevices to sneak inside your house where they’re able to hibernate until the wintertime passes. These bugs are really pests. Most of the year, they’ll go virtually unnoticed, and really only become a problem around autumn as they become sociable and desperate to locate warm places to keep alive during the upcoming cool months. Although naturally non-aggressive, the bugs have been notorious for puncturing skin with a piercing mouth out of defense. It may cause an irritation that is similar to that of a mosquito’s bite. The insects obtained their title because of their preference in diet– boxelder trees. In addition, they feed upon ash, maple, or fruit-bearing trees, and leave behind discovered or deformed leaves in their wake. Although, as fall rolls around, these bugs hibernate until the spring mating season returns. “Boxelder bug” is not the only name these striped pests hold. Many people jokingly refer to them as “Democrat Bugs” because they’ll spend the beginning of fall swarming, similar to the way in which politicians will leading up to a vote. Like the old military saying, the best defense is a good offense. So, protect your house from uninvited guests by calling us to send bugs packing. 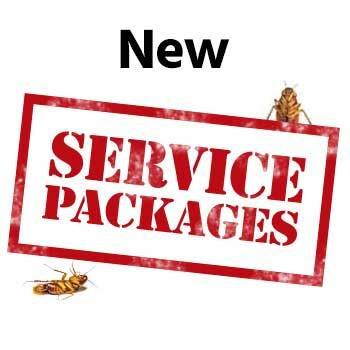 For more information on our exterminator service contact The Killers today!